Antelope in the ancient World. Antelope in Wikipedia The word, first applied as a qualification to the gazelle, on account of the lustre and soft expression of its eye, has become the name of a genus of ruminant quadrupeds intermediate between the deer and the goat. Four species are mentioned in the Bible: (1) the dîshon (D.V. pygarg; Deuteronomy 14:5), commonly identified with the antilope addax; (2) the çebhî (Deuteronomy 12:15, etc. ; D.V. roe) or gazelle, antilope dorcas; (3) the'ô (Deuteronomy 14:5; D.V. wild goat; Isaiah 51:20, D.V. wild ox), which seems to be the bubale (antilope bubalis); and (4) the yáhmûr (Deuteronomy 14:5), the name of which is given by the Arabs to the roebuck of Northern Syria and to the oryx (the white antelope, antilope oryx) of the desert. Bull in Smiths Bible Dictionary terms used synonymously with ox, oxen, and properly a generic name for horned cattle when a full age and fit for the plough. It is variously rendered "bullock," Isa 65:25 "cow," Eze 4:15 "oxen," Ge 12:16 Kine is used in the Bible as the plural of cow. In Isa 51:20 the "wild bull" ("wild ox" in De 14:5 ) was possibly one of the larger species of antelope, and took its name from its swiftness. Dr. Robinson mentions larger herds of black and almost harmless buffaloes as still existing in Israel, and these may be the animal indicated. Fallow-deer in Easton's Bible Dictionary Deut. 14:5 (R.V., "Wild goat"); 1 Kings 4:23 (R.V., "roebucks"). This animal, called in Hebrew _yahmur_, from a word meaning "to be red," is regarded by some as the common fallow- deer, the Cervus dama, which is said to be found very generally over Western and Southern Asia. It is called "fallow" from its pale-red or yellow colour. Some interpreters, however, regard the name as designating the bubale, Antelope bubale, the "wild cow" of North Africa, which is about the size of a stag, like the hartebeest of South Africa. A species of deer has been found at Mount Carmel which is called _yahmur_ by the Arabs. It is said to be similar to the European roebuck. Pygarg in Fausset's Bible Dictionary dishon. A clean animal (Deuteronomy 14:5). A generic name for the "white rumped (as pugarg means in Greek) antelope" of northern Africa and Syria. The Septuagint has translated the Hebrew by "pygarg"; living near the habitat of the pygarg they were likely to know. The mohr kind is best known, 2 ft. 8 in. high at the croup. The tail is long, with a long black tuft at the end; the whole part round the base of the tail is white, contrasting with the deep brown red of the flanks. Conder (Israel Exploration, July, 1876) makes it the "gazelle". Pygarg Scripture - Deuteronomy 14:5 The hart, and the roebuck, and the fallow deer, and the wild goat, and the pygarg, and the wild ox, and the chamois. Roe in Fausset's Bible Dictionary ROE or ROEBUCK. Yaalah, "chamois" (Proverbs 5:19) or ibex, the female of the wild goat. Tsebi (masculine), tsebiah (feminine), from whence Tabitha (Greek Dorkas), "loving and beloved": Acts 9:36. 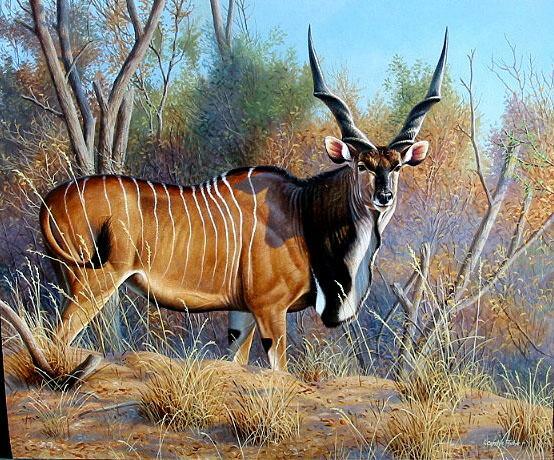 The beautiful antelope or gazelle, the Antelope dorcas and Antelope Arabica. Slender, graceful, shy, and timid; the image of feminine loveliness (Song of Solomon 4:5; Song of Solomon 2:9; Song of Solomon 2:17; Song of Solomon 8:14). The eye is large, soft, liquid, languishing, and of deepest black; image of swift footedness (2 Samuel 1:19; 2 Samuel 2:18; 1 Chronicles 12:8). Israel ate the gazelle in the wilderness, and the flesh of flocks and herds only when offered in sacrifice; but in Canaan they might eat the flesh, "even as the gazelle" (Deuteronomy 12:15; Deuteronomy 12:22); Isaac's venison was front it (Genesis 27). The valley of Gerar and the Beersheba plains are still frequented by it. Egyptian paintings represent it hunted by hounds.